GV Vancouver - Did you know that Vancouver is the Greenest City on the planet after Copenhagen? Buttressed by the world famous Stanley Park Seawall, 400 hectares of Westcoast Rainforest and beaches, Vancouver is teeming with outdoor recreation – walking, running, cycling, and swimming. Looking for something more adventurous? 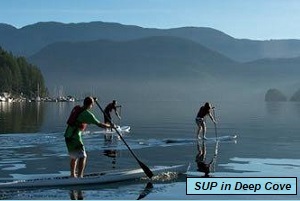 Try kayaking or Stand Up Paddling (SUP) in Deep Cove! Located in North Vancouver, the hidden and quant village of Deep Cove overlooks a stunning 25 km fiord with calm waters and dramatic wilderness scenery for walking and hiking. Be sure to regularly check out our Global Village Calendar for organized scheduled activities, including skiing/snowboarding. Looking for outdoor clothing and equipment? Vancouver is home to some of the world’s most reputable suppliers of outdoor and fitness gear and clothing, including Lululemon, ArcTeryx, Mountain Equipment Coop. GV Hawaii - English plus Fitness or Yoga are the perfect combinations for a healthy body, soul, and mind! By adding a moderate amount of exercise and/or yoga into your daily life in paradise, you can improve your well-being and quality of life in Hawaii. With English + Fitness, you will have one to one personal fitness training sessions teaching you proper exercise and fitness tips and techniques along with nutritional advice to support you in reaching your health and fitness goals. With English + Yoga, you will also have one to one yoga sessions learning to invigorate your soul, mind, and body through proper exercise, peaceful relaxation, breathing and meditation. GV Calgary - 2018 has been a great year at GV Calgary and we would like to wish all the best to our many friends from over the world. We look forward to 2019 when we will again welcome current and new students from over 90 countries. Our Academic Teen Activity Program allows students to improve their English and assists them prepare to be the global leaders of tomorrow. 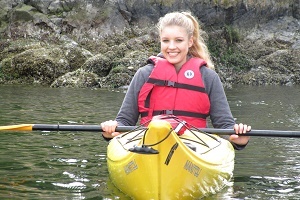 In July, we will offer the Teen Activity Program with the Leadership option. GV Calgary is proud to welcome students of all ages. Please note that our 30 plus students, like all our students, receive program counselling on their first day in the school to ensure that they are aware of our many program options. 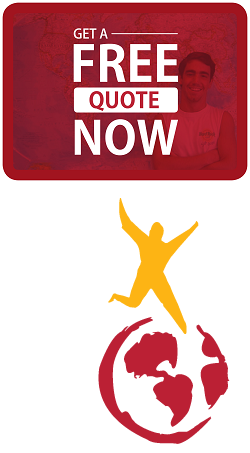 We are flexible and want students to have the program that fits their goals. 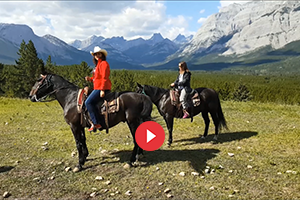 Our Calgary Stampede and the Rockies Program is a program unique to GV Calgary. Click here to watch a video about it and click here to check out the program detail. GV Vancouver - GV Vancouver is pleased to announce that it has consolidated its two campuses to one large campus. With over 28,000 sq feet, the sizeable and spacious 30-classroom campus is truly unique. 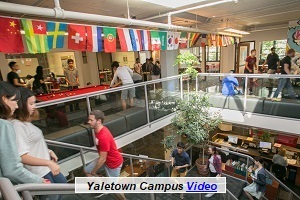 “We are very pleased to let go of our small campus on Homer street and have all of our students and staff in one large campus in the downtown Yaletown area”, explains Paul Maher, President & CEO. “Students will no longer have to move from one building to another for their class and be separated from their friends. Teachers will also no longer have to move from building to building. We expect our student spirit to be stronger than ever along with the quality and efficiency of our support services.” Here’s a fun fast-forward VIDEO of the campus by Brazilian student, Elias Jose Issa! 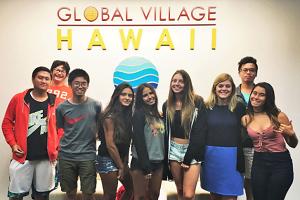 GV Hawaii - Global Village Hawaii is excited to announce a new and improved teen program, “Cambridge Teen Learners of English”! This academically focused program will use a Cambridge textbook and aligned curriculum with the Cambridge Key English Test (KET) and Cambridge Preliminary English Test (PET). Adults (ages 16 and older) - GEP, BEP, TOEFL, TOEIC, etc. Special Promotion: Enroll a student in YLE or TLE and get 30% off the tuition on a second family member studying at GVH during the same time. Enjoy Hawaii as a family together and make memories that last a lifetime! Sign up today by contacting us at hawaii@gvenglish.com.